2. 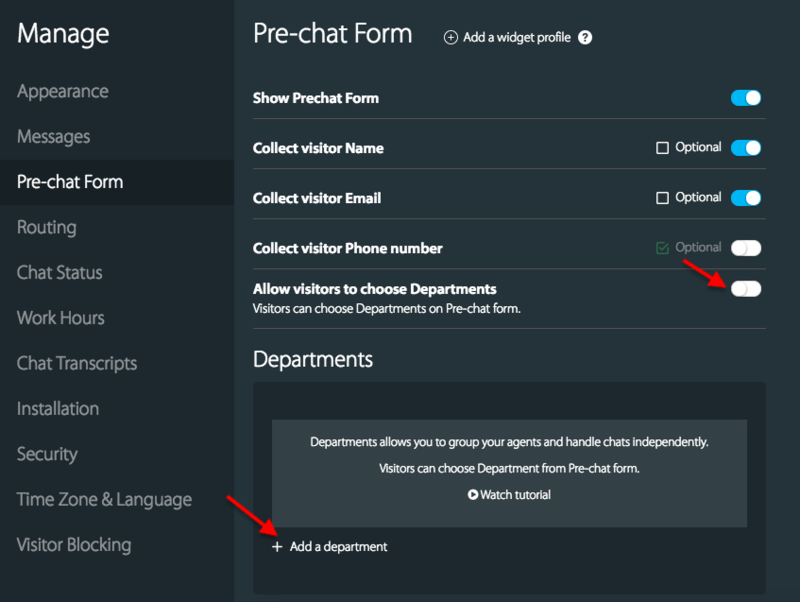 Go to Manage tab >> click Pre-chat form. NOTE: Ensure that the option 'Allow Visitors to Choose Departments' is Toggle OFF. 3. Under departments section, create a department >> add the agent/agents who should receive the chats to this department and name it. 4. Scroll down to the bottom of the page. You will find the "Default Department for routing" option. From the drop down, you can choose the department to which all chats should be routed. Click "Save".